Tourist boat on the Sil River in the Amandi subzone of la Ribeira Sacra. “The Mencia grape is to Ribeira Sacra as Gamay is to Morgon or Syrah is to Cote Rôtie – a grape perfectly matched to its terroir. 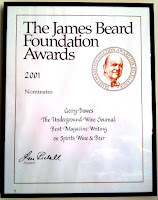 One doesn’t have to be a viticultural historian to know that it takes inspired people in addition to great grapes and great terroir to spell success. Today we’re celebrating a superb vintage in Ribeira Sacra, the burgeoning career of a new importer, and one young winemaker’s outstanding work with a special three-pack selected to renew your obsession with Ribeira Sacra. Gerry Dawes has been travelling in Spain for over 30 years. He has been to Ribeira Sacra many times and considers himself a true Galicia-phile. 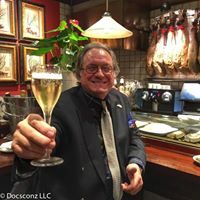 Tired of passing his discoveries off to other importers, Gerry has taken the plunge and started importing his favorite Spanish wines to the States, with a focus on the northwest of Spain. This has been a breath of fresh air; the wines are delicious, and show the best of what Ribeira Sacra has to offer: vibrancy of aroma and flavor, layers of red fruits, juicy acidity, minerals, and flowers with a lingering saveur, “red wines with the soul of white wines”, to use a colleague’s words. 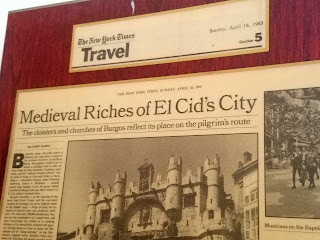 at Barcelona Wine Bar, Greenwich, CT.
We brought not just the three afore-mentioned wineries from La Ribeira Sacra, but FIVE* (and possibly 7 or 8) bodegas! We love La Ribeira Sacra and its small artisan producers. We believe it is somewhat like Burgundy's mix of small estate producers and reminiscent of the Loire Valley as well, but the grapes are not Pinot Noir or Chardonnay as in the case of Burgundy, but the native red Mencía grape is very reminiscent of the Loire's Cabernet Franc and the white grape Godello can be on a par with Chardonnay. Look for pomegranate-cranberry fruit and graphite (lead pencil) minerality in these great value wines." California chef Michael Chiarello around his precipitously steep Ribeira Sacra vineyards on the Sil River. Manuel Formigo Finca Teira Ribeiro 2011 and Viña Catajarros Cigales Rosado 2011 by the glass. The unique, rich, pomegranate-like fruit-driven Décima Mencia (with 10% garnacha tintorera) from Amandi is underpinned by a graphite-like slate minerality that comes from the preciptiously steep pizarra terraces on which Décima’s vineyards grow. The vineyards are owned and farmed by José Manuel Rodríguez, who in addition to farming his own vines, is also the President of the Consello Regulador de La Ribeira Sacra. This wine is a masterpiece, reminiscent in style and quality, if not in Pinot Noir flavors, of a wine from Burgundy’s northern Cótes de Nuits. I have been visiting vineyards and bodegas with José Manuel for nearly a decade and count him among my best friends. 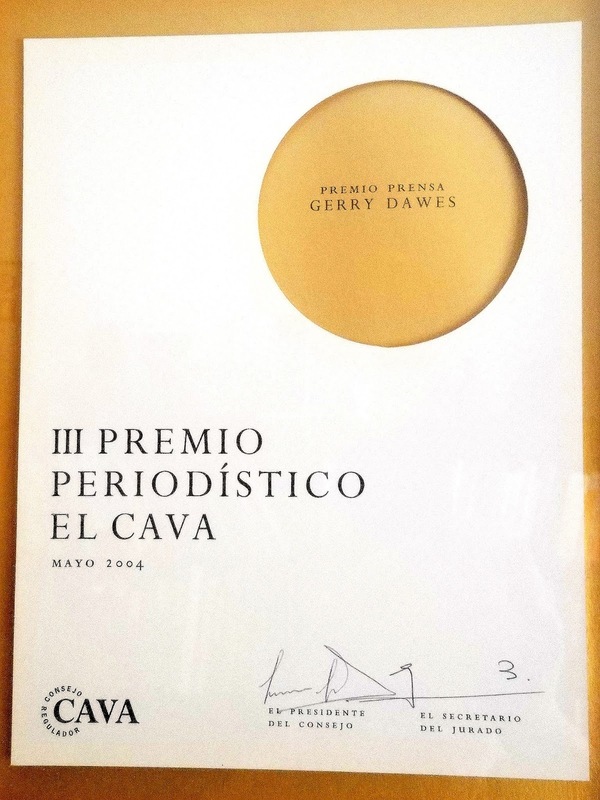 He has not only introduced me to the bodegueros and wineries we are bringing in, he has lead me to nearly three dozen other bodegas and tasting of hundreds of wines, which helped me immeasurably in the research for my articles on the region, but also in finding this particular set of unique wines. Primitivo Lareu, owner of Sabatelivs, Chantada, Ribeira Sacra. Sabatelius from Primitivo Lareu, both a Godello-and-Treixadura white and a Mencía-based red, are both truly special wines from the westernmost Chantada subregion. Primitivo, who is a painter-sculptor, is one of the most dedicated viticulturists we know and his attention to his vineyards shows in his superb terroir-driven wines. Exotic, white peach and stone fruit flavors, with a mineral-laced finish. A superb white wine that is 60% Godello, 40% Treixadura. Sabatelivs Mencía Tinto Joven & Sabatelivs Mencía Carballo, which is aged in oak. Medium deep pomegranate color. Pomegranate and graphite nose. An intriguing, compelling wine reminiscent of a great Cabernet Franc-based wine from the Loire Valley, but distintive because of the difference in soils (the Loire is calcareous, here it is granite and slate. Excellent, clean, sharp fruit flavors reminiscent of pomegranate, laced with cranberry and lead pencil, with an intriguing, complex finish from the stony vineyards on which these grapes grow. 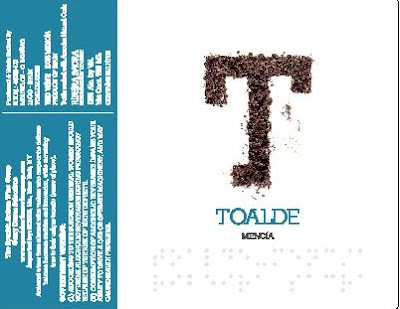 This young Mencía-based tinto will benefit from decanting to allow the aromas and flavors to fully develop. overlooking a bridge over the Miño River in Belesar near Chantada. From Ribeiras do Miño, one of the five sub-regions of La Ribeira Sacra, the mineral-driven, but soft and voluptous Toalde Mencía is made by the talented young enologist, Roberto Regal from stunningly beautiful, bucolic vineyards overlooking the Minho River. A silky, pomegranate & mineral-driven jewel. One of the best wine in our portfolio. Mencía grapes, with traces of other old vines indigenous varieties, grow here on steep rock (the majority granitic, some slate) terraces with a 66% incline. The soil is poor and shallow, which drives the vines deep in search of nutrients. The orientation of the vineyards is from northeast to southeast. The altitude of the vineyards is 820 to 1150 feet above sea level, which allows a progressive harvesting the grapes, beginning with the grapes from the warmer lower vineyards, which ripen first, and finishing with the higher vineyards, which ripen last. The Atlantic climate helps provides aroma and freshness to the wines and the Iberian sun provides the necessary heat in the summer and moderate temperatures in autumn and the Minho river, over which the vineyards perch, provides a moderating influence. Average rainfall is 750mm in Winter; 250 mm in summer. Even the most expensive wine in Dawes's porfolio, "Viña Cazoga Don Diego Crianza from Ribera Sacra, an exotic, chocolate- and tobacco-flavored wine with some of the "wild" character the French call animal, retails for only $50." - - Colman Andrews, The Daily Meal. Jorge Carnero, Viña Cazoga, La Ribeira Sacra (Lugo province), Galicia. One of the stars of this group is a unique wine from a rustic bodega in the back country. It is owned by a young winemaker, Jorge Carnero, who took over his late father’s vineyards and decided to make his own very personal wine, Viña Cazoga. We import both Jorge’s Viña Cazoga Tinto 2010 and Viña Cazoga Don Diego 2008, a wine that spends some several months time in 4-year old, 500L re-conditioned Allier oak. We don’t expect either of these wines to be for everyone because they are so unique and unlike other red wines you may have tasted before. For this reason, on my fourth visit to the winery when I took a guest l I decided not to say anything and just let him make up his own mind about the wine without any pre-suggestion from me. Cazoga wines were the ones the guest liked the best of all from our 2,500 km., 20-winery trip. Viña Cazoga Don Diego 2008, a wine that spends some several months in 4-year old, 500L re-conditioned Allier oak, is one of the top wines in The Spanish Artisan Wine Group - Gerry Dawes Selections. 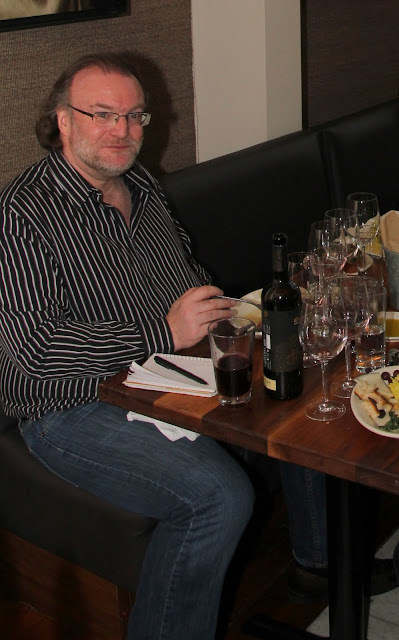 Cazoga wines show themselves best with food. By the time you get to the last glass in the bottle, you realize you have been drinking something unique and special. And you don't like that old-fashioned label with the Cazoga (ram) head you say. Carnero, or ram, is the owner’s name. Get over it and concentrate on the wine in the bottle. We wouldn't change a thing about this place. 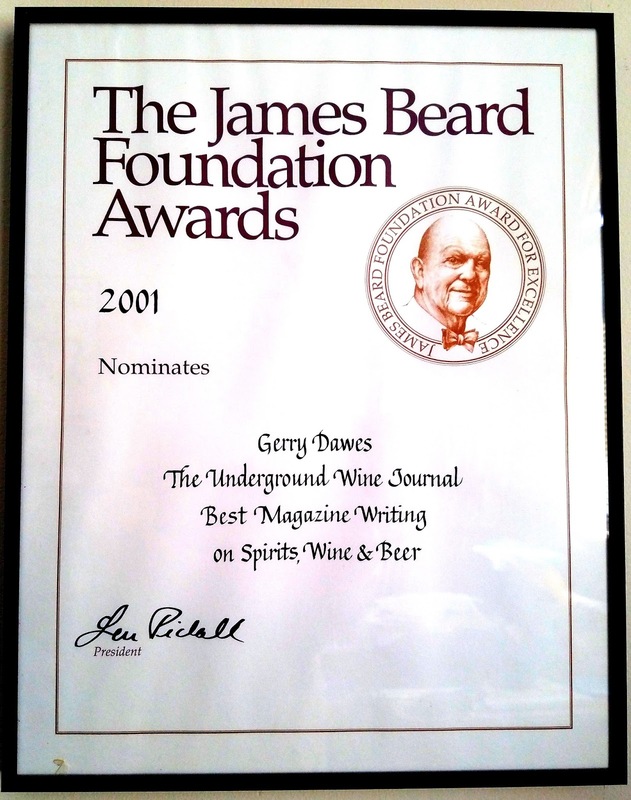 Besides, there is not enough wine to fill even the modest demand we think those who really like this wine will create. The Spanish Artisan Wine Group’s wild child; if you don't like it, I will drink it. Viña Cazoga consists of 3.9-acres in a single plot bordering on a slope just above the water line of the Sil River. The site wine was traditionally recognized as the best for growing wine grapes in the parish of Amandi. The grapes are 95% Mencia, the rest Merenzao and Tempranillo. The history of the winery is very old. Jorge Carnero’s grandfather Raimundo Vidal owned the largest winery in Amandi, which he inherited from his father. Carnero’s grandmother remembered from her childhood bringing down to the fair in Monforte 37 carts each with a cask of new wine. But at the beginning of the 20th century the cultivation of those steep river banks was not profitable, so there was much emigration and many descendants inheriting their portion of a vineyard )under the Galician mini-fundia iherititance rules, so the old family vineyard was divided into dozens of plots among the cousins, some of whom kept making wine for themselves for home consumption, but other vineyards were abandoned. It was not until the late 70's when Jorge Carnero’s father, Diego Carnero Vidal, set out to re-unite the former vineyards of the Vidal family, re-open the old winery and recuperate the denominaciónde origin claim for Amandi, for which he always acted as ambassador, when, at a time, it was considered insane to try to cultivate those precipitous river banks. While the Carneros were in the process of reconstructing the old winery, they used a cuba (a large horizontal wine vat, a huge barrel) from the epoque of Jorge’s great grandfather to sleep in. They cut a door in one end of the barrrel and put a bed, lights and a television inside, making a bedroom out of the ancient barrel. They called my father “el tolo de Cazoga,” the crazy Cazoga, slept in a barrel and was going to bury los cuartos, the money from the vines. The barrel now has a taxidermist-prepared head of a ram mounted on the front of the barrel, the image of which is on Cazoga’s wine labels. Jorge Carnero (Carnero is “ram,” in Spanish, thus the ram’s head, the symbol of the winery), tasting his wines with a visitor. Jorge Carnero is inside a large barrel formerly used to make wine, now with door installed and a bed and television inside. Carnero sometimes spends the night in the barrel during the long hours of the grape harvest. Photograph by Gerry Dawes©2011. Cazoga was the first important winery in what would later become the Ribeira Sacra D.O. Cazoga is a pago, a single vineyard equivalent to a gran cru, in the most rocky location with the best orientation. Among those who know the Amandi subregion, the wine was always considered the best. The production is very low and most of the vines are a century old. "You have worked on Spain like no one else. 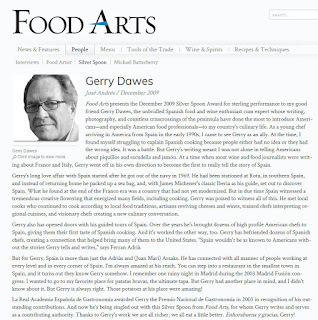 You have done it a step at a time, little by little, but I think it is great that you are finding success (with The Spanish Artisan Wine & Spirits Group - Gerry Dawes Selections) and that after so many years of trips to Spain and of knowing and loving Spain, that your efforts are finally going to pay off. You deserve to make it with your new venture and I am very happy for you." - - José Andrés, James Beard Foundation's Outstanding Chef 2011 and Chef-Partner of ThinkFoodGroup in Washington, D.C. and Operator of such restaurants as Jaleo (four locations in metro D.C. area and one in Las Vegas; minibar, Zaytinya, Oyamel, America Eats in D.C.; The Bazaar by José Andrés at the SLS Hotel in Beverly Hills, California; and China Poblano by José Andrés in Las Vegas. José Andrés & Albert Adrià at Tickets, Barcelona. 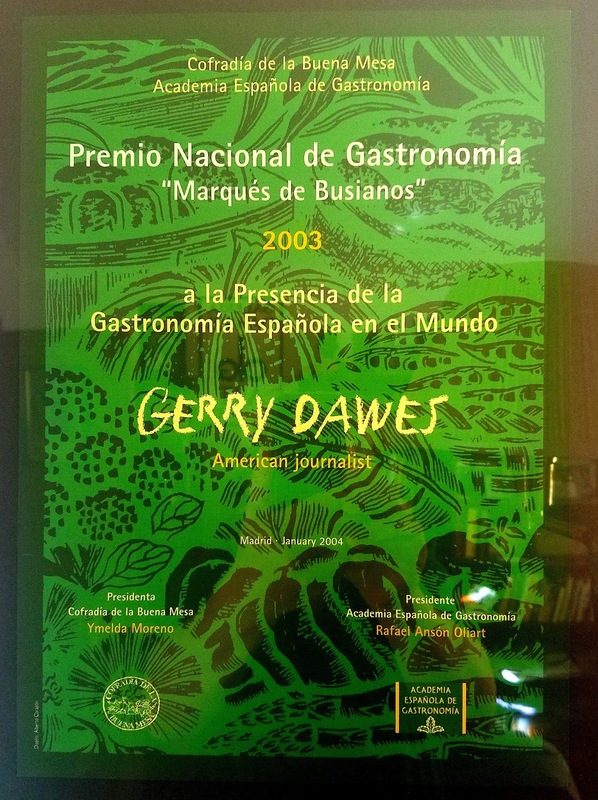 In December, 2009, Gerry Dawes was awarded the Food Arts Silver Spoon Award in a profile written by José Andrés. adventure through the Valencia and Alicante regions of Spain. 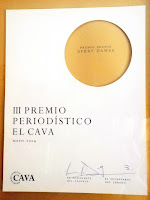 Gerry Dawes's Salvador Dalí Persistence of Memory* Watch Awards.